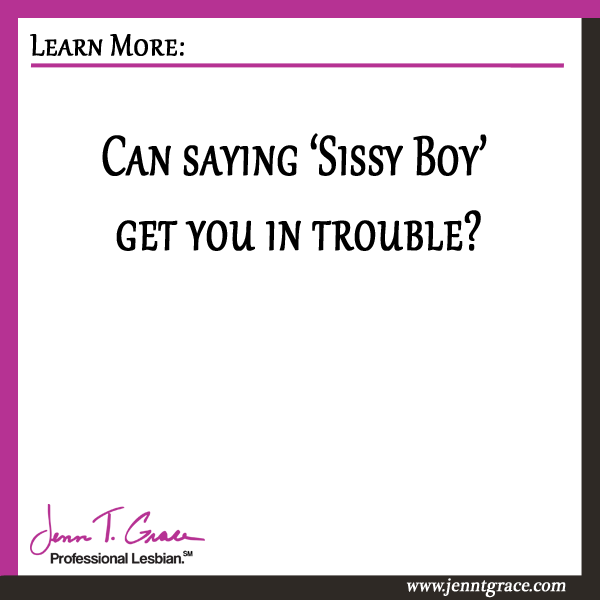 Can saying ‘Sissy Boy’ get you in trouble? 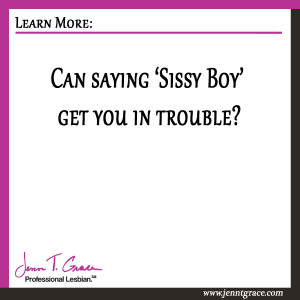 Home » Communications » Can saying ‘Sissy Boy’ get you in trouble? I was in a meeting with my marketing mastermind group. I love this group.  We meet in person once a month to discuss what we are doing for our business in terms of marketing. We share strategies, tips and offer feedback to one another. It is a wonderful thing to be involved in. 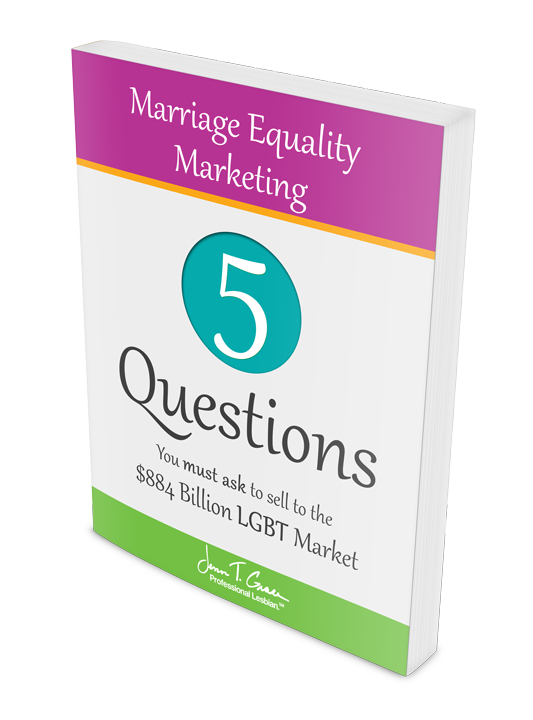 If you are interested in learning how to join one of my LGBT masterminds, click here. Wussy versus Sissy – which is homophobic? When I got home it occurred to me that he likely called someone a sissy not a wussy and those are two very different words. I’ve since confirmed that the term indeed was sissy and my friend had mixed up the wording. So, yes, calling someone a sissy can be considered homophobic but it entirely depends on the context of the statement. I have no idea the context in which this podcaster called someone a sissy. If he were making fun of a gay man and called him a sissy boy then yes, that’s homophobic and going to cause a stir from his gay listeners. If he was calling an effeminate straight man a sissy that too could be perceived as homophobic because you are then stereotyping that effeminate men must be gay, which we know is not the case. This is not something I probably would have ever thought to write about but considering it came up and caused a stir among this podcaster I hope that writing about this can not only educate this podcaster on how he may have offended his listeners, but also educate you, my awesome reader, that you should avoid phrases like this too. In my Amazon Best Selling book, “No, wait… You do look gay! 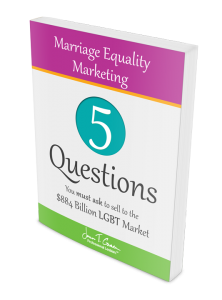 The 7 Mistakes Preventing you from Selling to the $830 Billion LGBT Community.”I discuss many phrases, expressions and stereotypes similar to this that will only get you in trouble if used with the LGBT community. I encourage you to check out the book or poke around for more information on this website. 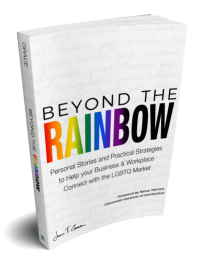 I have over 300 blog posts for you to read to fully educate yourself on the ways to make you successful at selling to the LGBT community. My rule of thumb: When in doubt – don’t say it….